IBM® Planning Analytics, the 2018 release of Cognos TM1, automates your planning, budgeting, forecasting, and analysis processes into a single platform, and aligns perfectly with your cloud, on-premise, or hybrid hosting strategy. Powered by the enterprise-grade TM1 platform, Planning Analytics runs alongside business analytics and reporting applications. Your teams can access real-time data from anywhere across your enterprise with self-service analysis through a dynamic, customisable workspace. How Can IBM Planning Analytics Transform My Business? Flexible and agile, Influential Software can tailor IBM® Planning Analytics to suit your business needs. Make self-service, cutting-edge analytics available to your entire organisation. 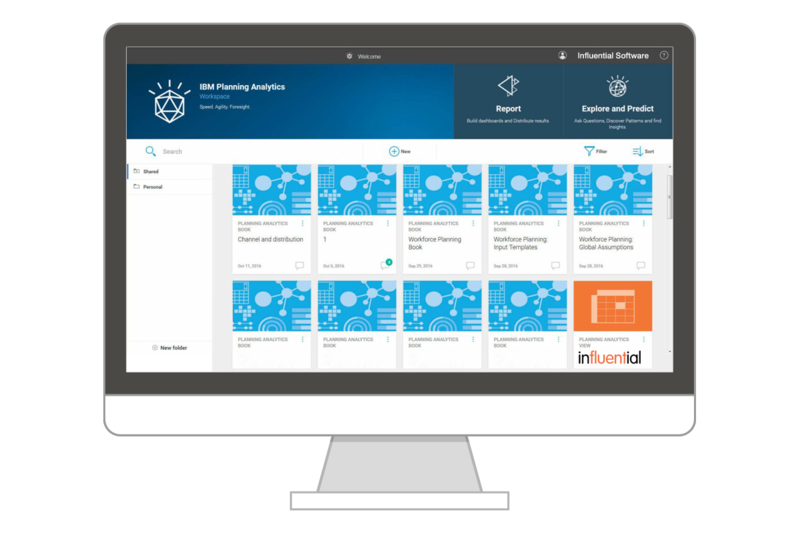 IBM® Planning Analytics has all the capabilities you need to transform your business and finance – in a single, easy-to-use solution. 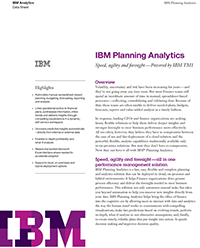 What Can IBM® Planning Analytics Do? “Analytics is the backbone of the modern business. IBM® Planning Analytics provides the deep, real-time analytical insights that make a difference for your business”. See Features and Benefits which include planning, budgeting, forecasting, scorecarding, reporting, analysis, and integration with Excel and existing systems. Consider Planning Analytics Express for small teams or businesses. View Influential’s Support And Services to see how we can provide a range of IBM services and solutions for clients ranging from small businesses, to FTSE 100 enterprises, to the wider public sector. These services include software sales, project consultancy, planning, training, installation, hosting, support, and maintenance.